With special interests in cosmetic dentistry, Fastbraces® Orthodontics (Master Provider), Inman Aligners & high tech dentistry, Andrea has presented to & trained other dentists both in New Zealand & overseas. 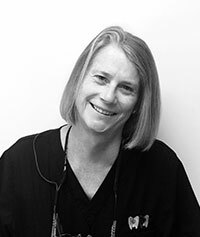 She is currently the Biolase certified clinical Laser trainer for New Zealand & the Pacific Islands & is a clinical presenter for E4D Chairside CAD/CAM & other high tech equipment. She is also the incumbent president of the New Zealand Institute of Minimal Intervention Dentistry. Her passion for minimal intervention dentistry, cosmetic dentistry and Digital Smile Design has kept her on the leading edge of smile design learning from some of the worlds greatest cosmodontists such as Drs Christian Coachman, Jason Smithson & John Weston. Andrea believes that Cosmetic Dentistry outcomes are all about creating beautiful, natural looking smiles with invisible dentistry. Andrea Qualified Bachelor of Dental surgery in 1987 from Sheffield University. After working in private practice in Reading for six years she emigrated to New Zealand. She set up Milford Dentists in 1997 & the practice has grown “organically” since then. In 2013 Andrea set up the first Breath analysis clinic in New Zealand to treat those with Bad Breath/Halitosis problems - The New Zealand Fresh Breath Clinic is hosted at Milford Dentists. Andrea’s “dental” philosophy is all about getting information to you so you are fully informed. After explaining what is actually happening in your mouth, using photo’s of your teeth, digital radiography & plain English, all your treatment options will then be discussed. Andrea will then provide you with pragmatic tailored dental solutions & all to your choice of music & or watching a movie. 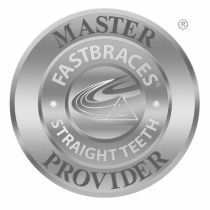 Andrea Clarke, BDS is a proud Fastbraces® provider: braces technology that is fast, safe and affordable. My husband and I have been patients of Andrea’s for 14 years. As older patients, we always find her to be very caring and gentle. Andrea is thorough, explains what she is doing, how she is going to proceed, and at the same time gives consideration to how you are feeling. In addition, she is always accessible and has good follow-up care. We would recommend Andrea without hesitation. For some years I have enjoyed the services of Andrea in the maintenance of my teeth. During this time I have been impressed by the professionalism of her practice & the deployment of new technologies to ensure the best possible treatment for her patients. At all times her attention is focused on the patient & at completion of her services you leave the practice feeling comfortable & confident with the services received. I have no hesitation in recommending her as your personal dentist. 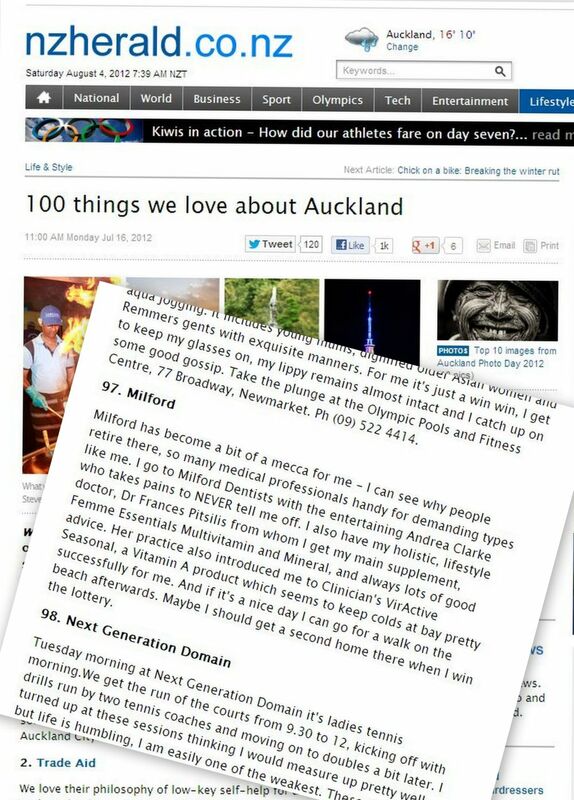 On his last two visits to Auckland, my French husband has started going to Milford Dentists too. He is amazed by the professionalism he encounters, including that of the dental hygienist - Karen Hobbs, who is now taking care of his gum disease…. P.S. There is a video screen on the ceiling above the patient’s head in the surgeries at Milford Dentists and you get to watch short films. You can also choose the ambient music. What more could one ask for? I would recommend Andrea Clarke & Milford Dentists without reservation- My family and I have been patients of Milford Dentists for 14 years. In this time, we have consistently experienced highly skilled and professional care, involving an array of treatments. We have always received sound advice, giving our family confidence in the high level of care that is delivered. When I first came to see Andrea at Milford Dentists, I was amazed that she was able to remove decay from my teeth using air abrasion. I did not need an injection, there was no pain and I was in and out of the chair in no time at all. Andrea invests in the very latest technology which makes my appointments a pain-free experience and I really appreciate that. Using this technology means less time in the chair too and as a self-employed person, that is a big plus for me too. Having neglected my teeth for a very long time, I was eventually forced to seek dental treatment after I broke a tooth. My wife strongly recommended Andrea so I found myself sitting in a dentist’s chair for the first time in over thirty years - and anticipating the worst. Not surprisingly, a lot of work was required (including several fillings and crowns) - but based on previous experience I declined injections. Even so, Andrea’s work was both painless and professional. It would be impossible to exaggerate my admiration for her skill, patience and considerate manner, I just wish I’d discovered Andrea earlier! Now I actually look forward to my check-up every six months because Andrea & Karen are keeping my teeth clean and in top condition.